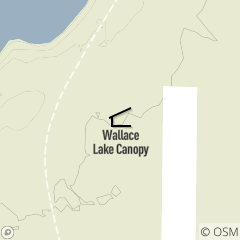 Wallace Lake Canopy features open-sided 20'x40' canopy, picnic tables and grills, flush and non-flush restrooms, near Wallace Lake swim area with Concessions and paddle boat rentals, fishing lake, swings, volleyball and ball field. Wallace Lake Reserved Canopy is located off Valley Parkway in Mill Stream Run Reservation, south of Bagley Road in Berea. Available June - September, daily.